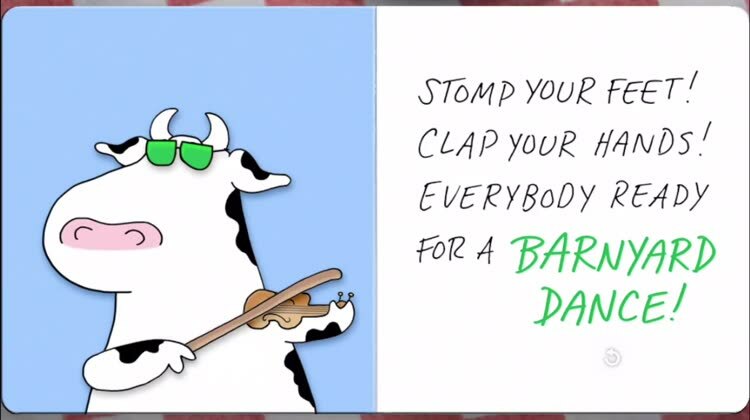 Barnyard Dance! 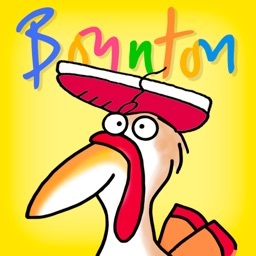 - Sandra Boynton by Loud Crow Interactive Inc. 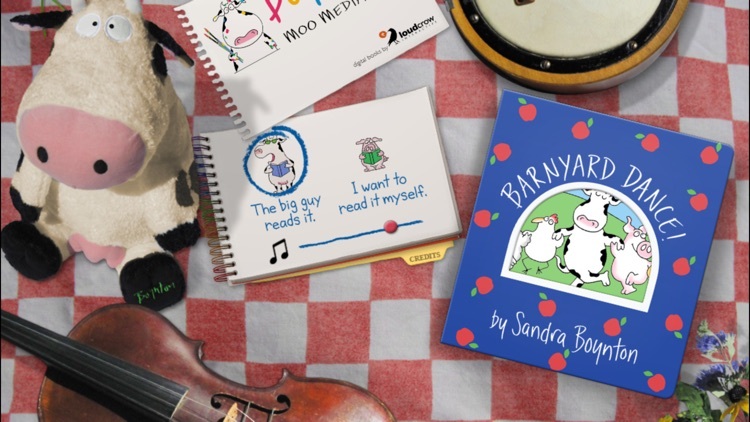 Loud Crow Interactive and Boynton Moo Media proudly present a terrifically interactive musical version of Sandra Boynton’s much-adored board book. 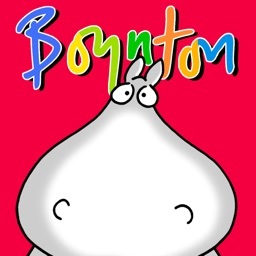 Cows and ducks and little kids rejoice! 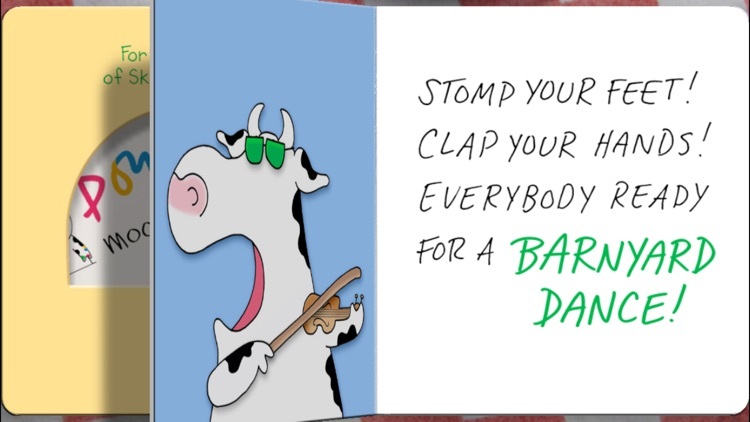 In Barnyard Dance! 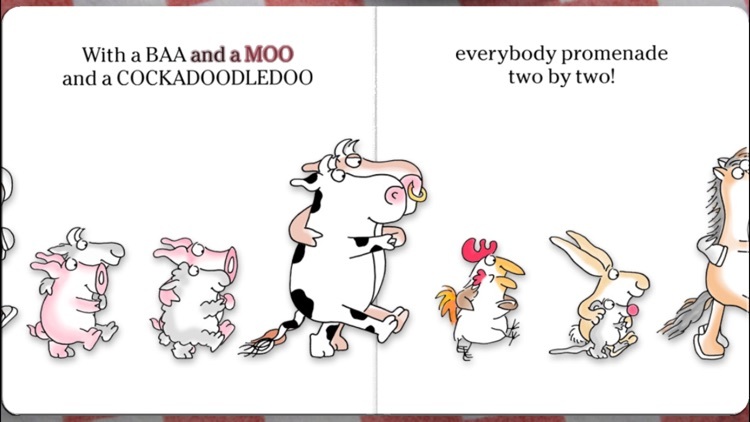 irrepressible farm animals join in a rollicking square dance. 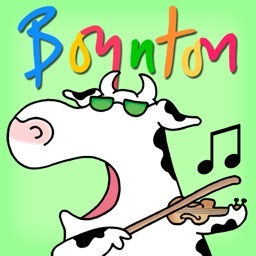 With this wonderful app, little listeners can move the violin bow to play the cow’s fiddle. 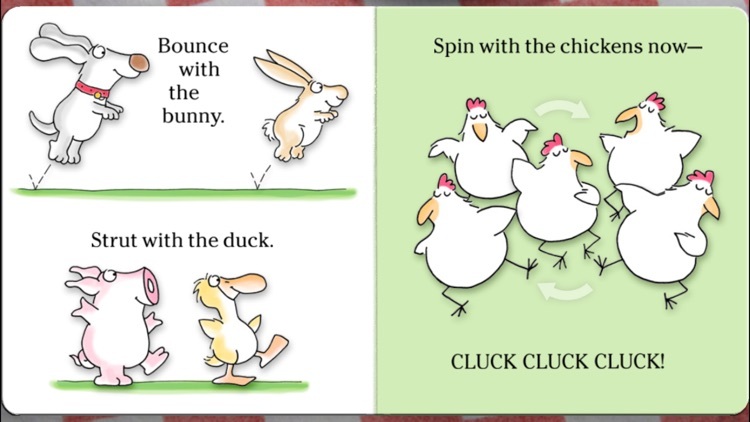 Now—with a touch or a tap or a pull—you can help the farm animals bounce, twirl, strut, spin, hop, leap, turn and, of course, promenade. 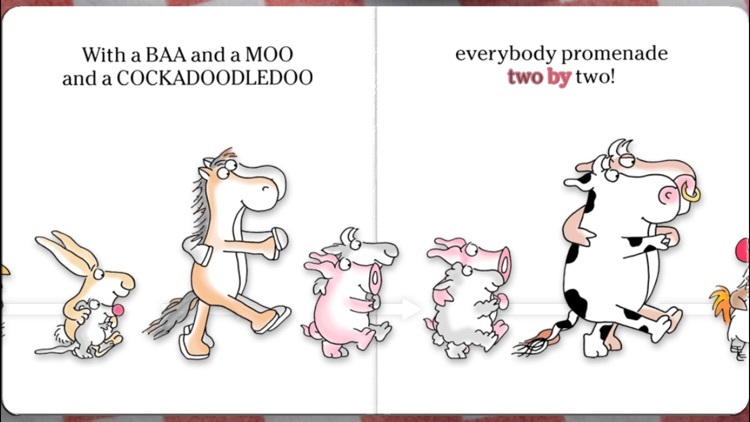 Beloved bluegrass musician John Stey narrates in the traditional cadence of a square dance caller, backed by a lively country band playing Michael Ford’s “Barnyard Square Dance.” This digital book is a catchy and fun romp for little ones and their parents, written with irresistible rhyme and rhythm, and illustrated—and now animated—by the author with those quirky and exuberant Boynton characters. With nearly four million copies in print, Barnyard Dance! 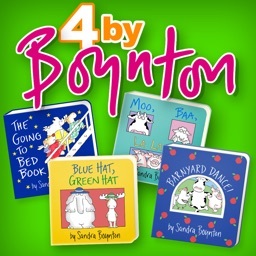 is listed among Publishers Weekly’s Bestselling Children Books of All Time. 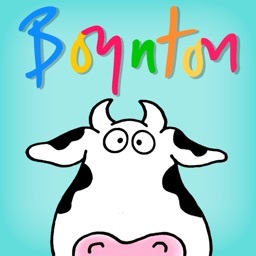 * Boynton has redrawn and recolored the original Barnyard Dance illustrations, and created new animations as well. * "The Big Guy Reads It" with word highlighting to help improve reading skills. 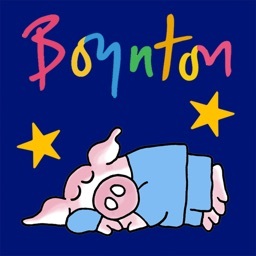 Similar Apps to Barnyard Dance!